Here I am again writing to you all about my latest favorites! This edition is all about Eggs! There are some egg-citing new items in eStore that I just have to share with you all! 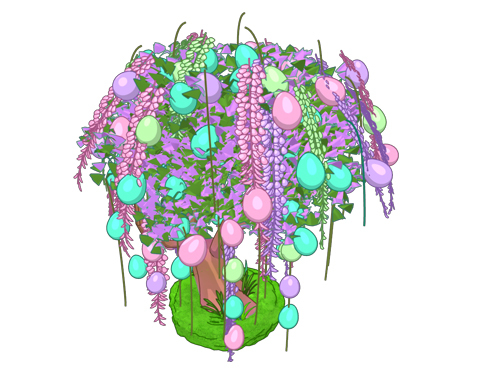 With this tree, you can decorate any room for Spring Celebration, PLUS it is a dispenser! Click on this item every day to get Spring Chocolate Eggs to feed to your pet! Enjoy the fresh spring weather and take your pet on a ride in this awesome egg carriage! 3) 2019 White Chocolate Eggs – Coming Soon! Every year I look forward to collecting the Spring Celebration Eggs! You can also get White Chocolate Eggs at the Ganz eStore. By feeding White Chocolate Eggs to your pet, you have a chance to get so many beautiful new prizes – including a chance to win the new White Chocolate Egg Cottage! I like the egg cart, I wish I could get it. Ooh i like those too. When is the eggs coming out? i’d like to grab a carton! Hi Sophie! 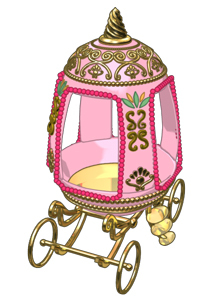 The Spring Egg Willow and Egg carriage are so beautiful! I can’t wait to get a pack of the White Chocolate eggs! is anyone else having trouble with pages loading? It seems much worse in the evening than in the morning though. Yes, I know it’s not my computer because I’ve tried different devices. Yeah, but I always have to reload the page.